Maithree had chosen to stay home with Irusha until he started school. “I wanted more than anything to be a full-time mom to spend time with our son,” she says. “But with one income, it was very difficult to survive.” Realizing she’d need to go back to work, she began taking classes in order to continue her accounting career in the States. As the Samaratungas have achieved success in their business, they also give their time and energy to support worthwhile charities around the world. They are especially active supporting Easter Seals and the U.S. Dream Academy due to the programs these organizations have developed to meet the needs of children and returning veterans. 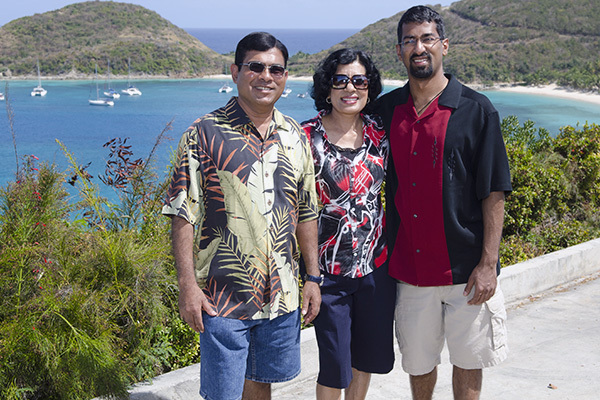 Tissa and Maithree truly understand the value of helping others and have made it a priority in their lives. Maithree also enjoys working with people who come to them for business advice. “We don’t just talk about helping people, we really do – whenever they need our help.” Tissa gets much satisfaction knowing that many of his friends are now involved in the business. “Because of our success, they have the confidence to start their own businesses, and be successful as we are,” he says.